Consumer trust in the private health system is “broken”, says one major insurer – but private hospitals can take heart from overwhelmingly positive patient feedback. Medibank, which covers 3.7 million of the 13.5 million Australians who have private health insurance, has been surveying customers since 2016 about their experience in hospital to learn what is important to them. It has surveyed 36,000 people who have had an overnight stay in hospital since late 2016, and put its patient experience data online. CEO Craig Drummond said the website has had 270,000 page views from more than 48,000 individual users since the end of November 2018, highlighting the public interest in such data. “The survey showed that 95 percent of patients have rated private hospitals as 8/10 or above. 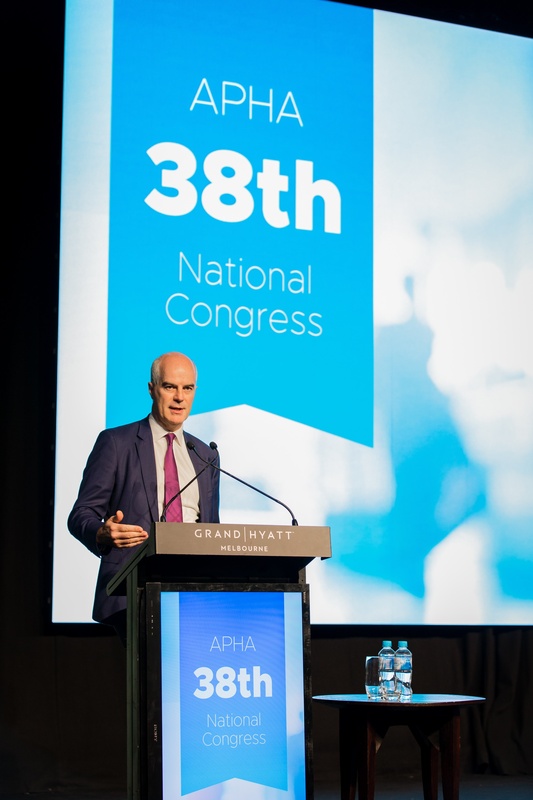 Those who have been private patients in public hospitals, 65 percent have rated public hospitals as 8/10,” he said at the Australian Private Hospitals Association’s 38th National Congress in Melbourne. “This is a very, very representative sample. And there was a huge gap in the perception from the consumer once they’ve gone through a public versus private hospital. So if you’re not already participating in the PREMS project, I encourage you to reach out so we can share the data,” he added. However, Mr Drummond said the private health industry was “playing catch-up” in an age of customer transparency, and the sector needed to act now to meet challenges of rising premiums, out-of-pocket costs and falling participation. “Through this whole process, one of the things that gets lost is trust. There’s surprises, and customers no longer trust their insurer and no longer trust the system,” he said. Medibank has launched a new online tool, Find A Provider, which among its services gives customers information about specialists’ records with out-of-pocket fees – “but it’s far from the solution,” Mr Drummond said. He said the economy is currently robust enough that consumers should theoretically be able to afford cover, but that any downturn could bring “a significant increase in downgrading of policies, and we will also see substantive shockwaves”. “So now is the time to be making changes, collectively – and I include our insurance industry – and not to stick our head in the sand,” he said. Medibank will offer the new Gold, Silver, Bronze and Basic policy categories from 1 April 2019, and will make the new higher $750 excess optional, while 150,000 Medibank and AHM customers aged 18 to 29 will receive up to a maximum 10 percent premium discount as part of the bid to both retain and attract younger consumers to the industry. Medibank absorbed $14 million of costs in the first nine months after the mental-health waiver was introduced, representing an extra 20,000 days’ care for customers who took the chance to upgrade their policies. Mr Drummond estimated the initiative – “absolutely the right thing to do” – had cost the industry $75-85 million up to December 2018. However, he said Medibank is aiming to make $60 million in overall cost reductions over a three-year period – though this would not be enough if Labor wins the May Federal Government election and proceeds with its plan for a two-year two-percent premium cap. He called for reforms in fringe benefit tax, saying the 50 percent rate levied on private health insurance for employees “is a bridge too far for corporates”. “There are a handful of corporates, largely international, that are providing healthcare at a subsidised rate in the Australian market today. It’s a small market but it could be a very, very substantial market. It can take significant pressure off the public system. “And importantly, for the insurers, it would skew young, because the workforce skews young. It would make a really, really big difference to sustainability,” Mr Drummond said.